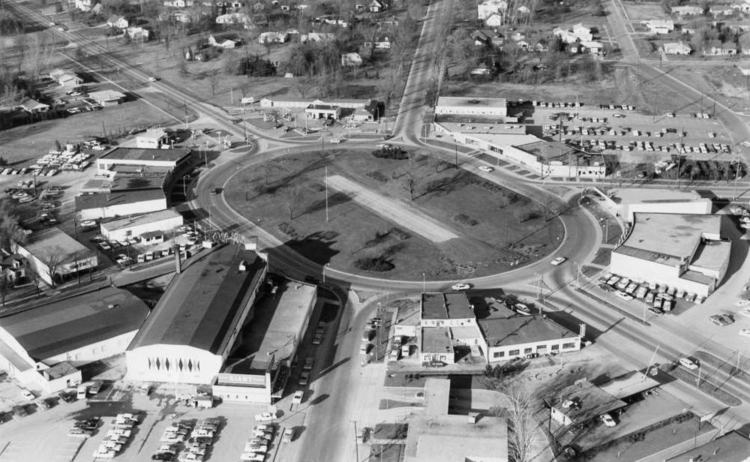 Several decades ago, the area known as Ashman Circle in Midland used to feature a distinct roundabout. While years have passed and roadways have changed, the name still remains. Often you hear the area referred to as just "the circle" for short. Starting next year however, things may start to look a bit different. Center City and the Ashman Circle in 1966. Stemming from the consolidation of Dow’s facilities on Saginaw road and corresponding traffic rerouting, the company announced late last year that it would donate $1 million to updating and improving the Center City corridor. One of Midland’s older districts, Center City is comprised of more than 225 businesses and properties that stretch along the 2.3 miles that run from James Savage Road to Manor Drive. While it is a long stretch, there are multiple locations where the district functions as a gateway to Downtown Midland. With over a decade of continued investment – from the Loons stadium in 2007, the East End Building in 2014, to the updated streetscape that opened last year – the face of downtown has changed considerably. Those investments have brought new interest in development that has continued to spread – as in the case with Midtown. Midtown has recently evolved in more of an organic way, and is categorized by some pretty inspiring projects by small business owners and developers. Captured Studios and Community has given quite an upgrade to The Ashman Plaza, which now functions as a community hub and serves a variety of interests from artists, to active exercise class goers to those looking for small business startup advice. Midtown also caught the eye of Daniel and Jamie Broderick, who renovated a local chiropractic office from 1966, bringing a new look with a mid-century nod with their newly opened Bricks Real Estate. 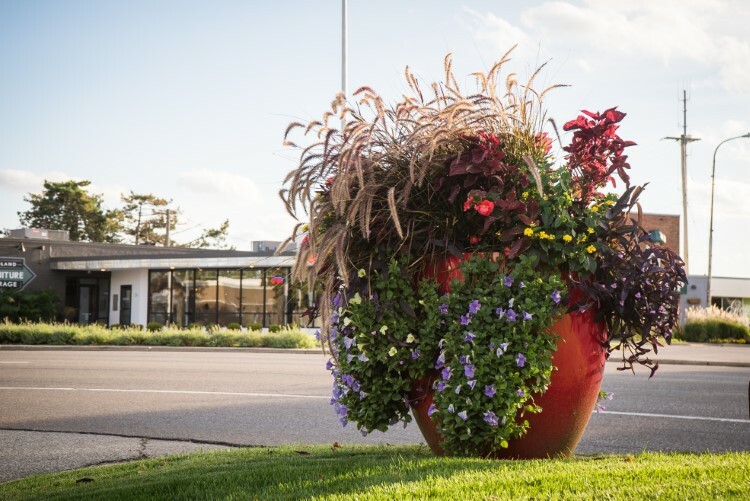 Center City plantings in the summer in front of Midland Furniture Garage. Center City however, has remained relatively unchanged during this time and has only recently experienced development interest. Midland Furniture Garage opened in November 2017, Alora Floral in early 2018 and Frankenmuth Credit Union, which is set to open this fall has added classic mid-century flare to the previous Comerica Bank building. Several businesses have taken part in the district's facade improvement program as well, like Quick & Reliable Printing and Smith's Flowers, which now sports a bright red exterior. 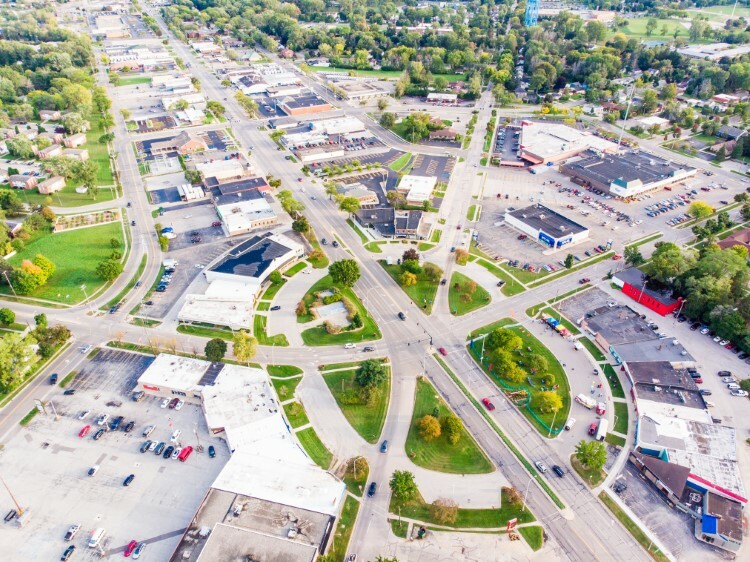 Ashman Circle could be altered to have two intersecting streets, instead of three.The generous grant from Dow will transform the area – a topic that has been the subject of numerous community listening sessions hosted by Center City and the Midland Area Community Foundation. The city has reached out to get input from several capable development partners including Looney Ricks Kiss (LRK), an architectural, planning and interior design firm, out of Philadelphia, MKSK Studios an urban design and planning firm out of Detroit and Bergman Engineering for traffic routes. Bergman has plenty of experience in Midland, providing guidance and analysis on more than ten projects in the community including the M-20 bridge work and the parking study previously completed for the Downtown Midland streetscape development. 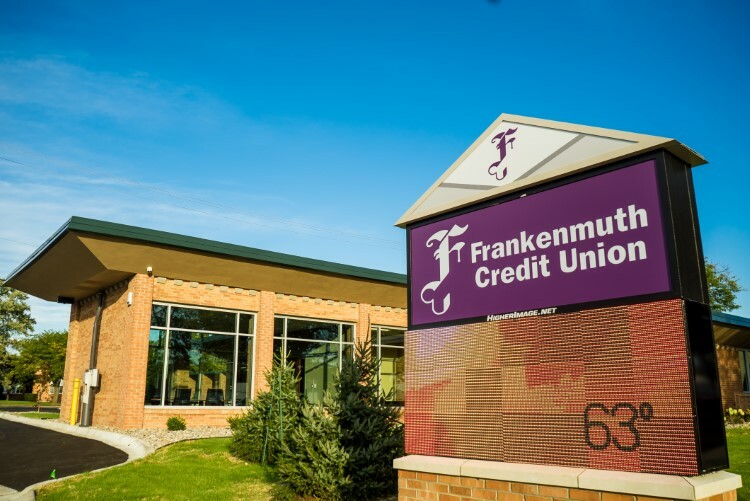 Frankenmuth Credit Union has renovated the previous Comerica Bank building. 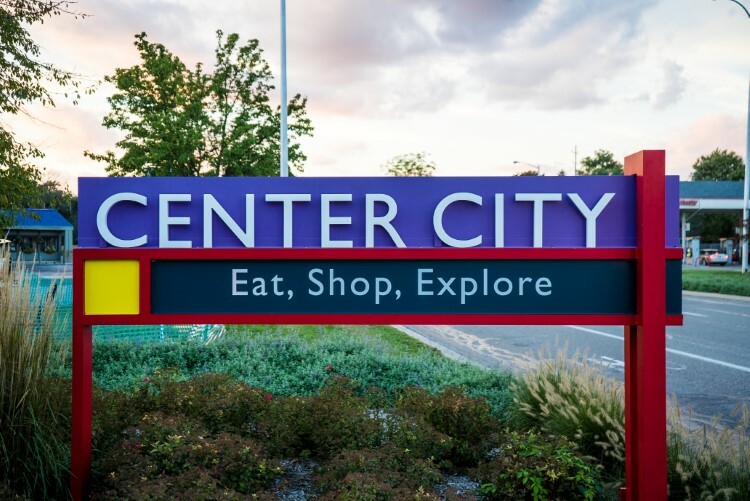 Recently, interested citizens and business owners were invited to several feedback and workshop sessions about future development plans for Center City. 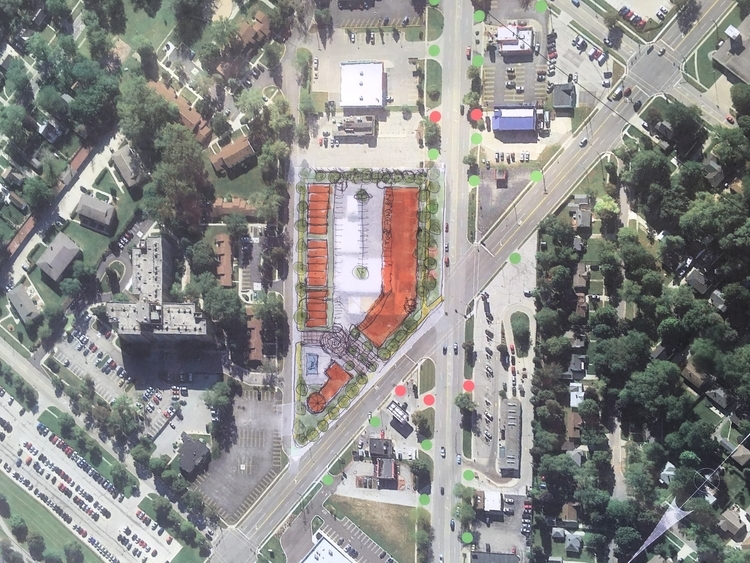 While the conversation is just starting, LRK and MKSK put together two potential redevelopment options that participants got to review and talk about. Looking at potential, a map with updates discussed at a recent Center City workshop session. With the goal of maintaining current traffic flow and safety, one option included simplifying the intersection and removing part of the diagonal intersects of Jefferson within Ashman Circle. 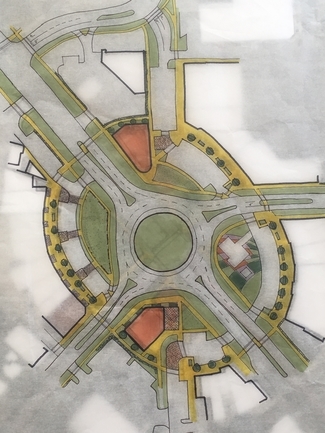 The second option included the development of a modern roundabout at Ashman Circle – as studies have shown roundabouts can function as a safer routing option. Another option being studied is a modern roundabout for Ashman Circle. 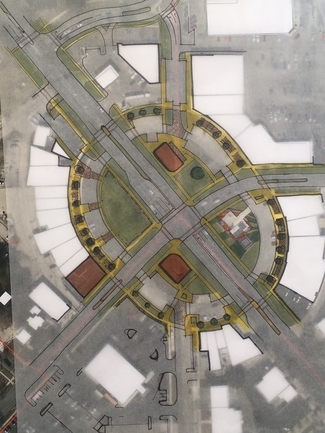 The overall goal is simplifying the intersection and traffic flow, increasing safety and broadening the opportunities for businesses and residents in the area. One other aspect the planning process is looking at is the simplification and access of entry along different points in the corridor. Areas and lots that have two or more access points for entry may be assessed for potential elimination in the name of safety. The city is managing the survey, which runs through the end of September and will be posting results online after that. The study itself runs through the end of the year, with the consulting agencies offering recommendations, but ultimately the final decision will be left up to the city on how to move forward. 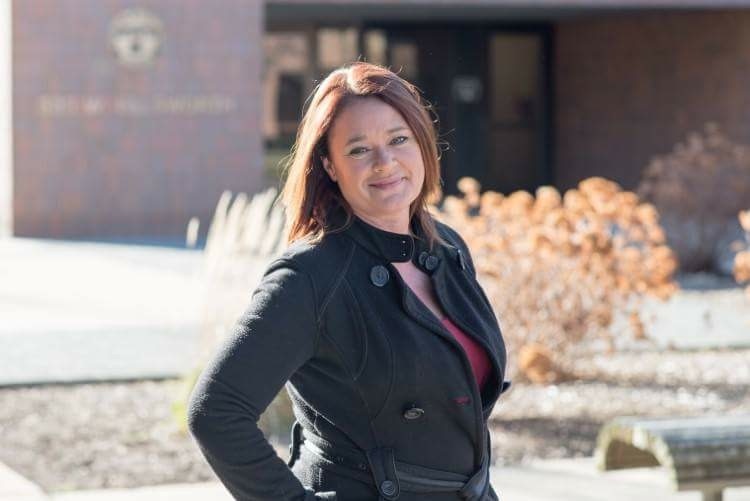 Selina Tisdale, executive director for the Center City Authority and community affairs director for the City of Midland, says the city expects to identify the path forward soon. Selina Tisdale, City of Midland Community Affairs Director. “We expect the study to wrap up by the end of the year and it will all depend on the final scope chosen, but we expect to have some action items to share in 2019,” says Tisdale. The potential has Center City residents excited for what’s next for the district. 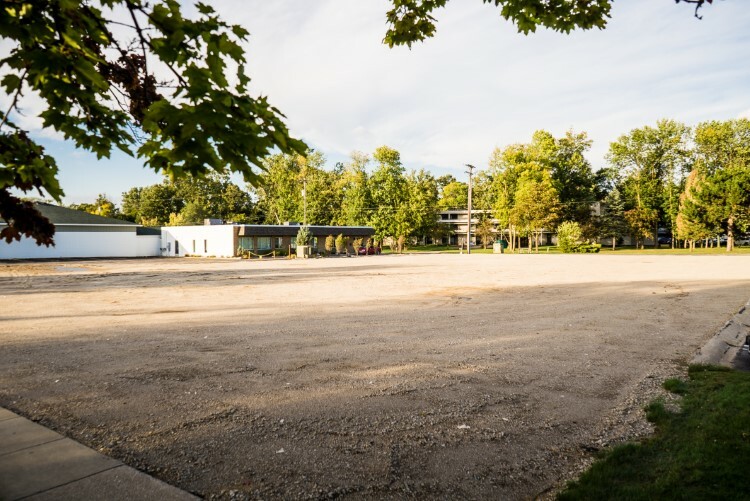 Local small developers Jeff and Kristin Gandy recently purchased the property where Goodyear Tire and Bamboo Garden were located. Their plans for development are still in the works, but Gandy attended some of the planning sessions recently and got input from LRK associates on several concepts. The site where Goodyear Tire and Bamboo Garden was will welcome something new soon. “We had some initial ideas and they helped us walk through what they might look like from a planning and resource perspective," says Gandy. Born and raised in Midland, Gandy moved away for college and found his way back to pursue a medical career in town. Now retired, the project is a nod to the shift in his priorities and he and Kristin’s desire to bring about something new that enhances the community. An aerial shot of the district with Ashman Circle. “Midland has been a big part of our lives, we’ve raised a family here and we are excited to help shape the future,” says Gandy. Center City veteran David Ginis of Ginis Goldsmiths looks forward to seeing the district's development. Ginis's business has been located in Center City for over 22 years and he has been extremely involved in development of the district since 2003, when the first study was completed. He noted the great feedback and ideas that have come from the workshops. "We've received so much feedback from this process and after many years of discussing this, I think we will see some of the ideas come to fruition, which is exciting," says Ginis. "I think it will end up being a multi-phase approach with all of the aspects in play, but we are really excited to see this begin to take shape." Center City runs from James Savage Road to Manor Drive in Midland. Look out for further developments in and around Center City in the coming months as well as other ways you can provide your thoughts and input as a citizen or business owner. One thing is for certain though – the district is sure to evolve with new developments as investment continues.